When the United States was told we were going to have a healthcare overhaul, we were excited. Finally, everyone would have good healthcare coverage and people with pre-existing illnesses would no longer be denied the care they needed. Those of us who already had good insurance through our jobs were told we would be able to keep our plans. But the reality was much different than the promises. For most middle-class Americans our insurance costs doubled and sometimes tripled. Our out of pocket expense was so high that many people would near the end of the year before this high-costs insurance paid the first dime. Patients with chronic illnesses could no longer afford to use the insurance that the government insisted they had to have or they would be fined. 2018 will be a year for change. Experts expect healthcare costs to continue to rise. The increases will vary by state, but some are expected to rise as much as 57% (in Georgia). Congress is working on this issue. The President of the United States is working on this issue, Every state has people working on this issue. Yet, with all these people working on the healthcare problem, there is no solution in sight. 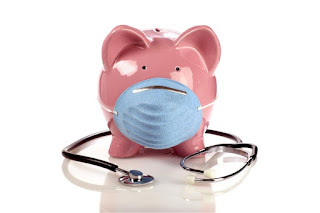 Below we will give you some tips for reduce healthcare costs. We urge you to do your own research. Seek out ways to reduce the expense to a manageable amount and protect yourself. Don’t get sick. This is the time to get your body in good health. Eat properly, exercise, sleep enough, and reduce stress in your life. If you have a condition like type-2 diabetes, high blood pressure or obesity, make it your goal in life to get it under control. The objective is to eliminate the need to take medication, and to reduce trips to the doctor’s office. Ask for and insist on generic drugs. Your doctor gets a cash bonus from the pharmaceutical companies for prescribing their name-brand drugs. This gives them a pretty good reason to choose particular name-brand drugs over a generic drug, or even a different medication that will treat your problem. This is the time Americans must become involved in their health care. Do not pay hundreds of dollars for a medication so your doctor can get paid even more than he already does. Educate yourself about your policy. We can no longer afford to just roll with the flow. Take inventory of your circumstances. Consider your age, health problems, income, and care provider. Then shop insurance companies. Do not pay more than you have to because you have “always used” a particular company. Let an insurance agent walk you through some different policies to determine the right one for you. Ask about programs where you can follow-up over the phone or computer for minor issues. It will save you hundreds of dollars. Beware of overbilling. Be diligent in checking every item on your medical bill whether from your doctor or hospital. Were you charged for a service you did not receive? Adding an extra test or procedure to an already congested invoice is an easy way for medical professionals to get the maximum payment they can get from your insurance company. However, that hits you right in the wallet. Every service they pay for, you pay for. What the new year will bring is still anybody’s guess. But now is the time to get to work on ways you can lower your costs and retain your health.